HE reminds me of two-time Philippine Basketball Association (PBA) most valuable player (MVP) James Yap but if you come near him, Jericho Montecalvo looks like the famous Showtime host and former Street Boys dancer Jong Hilario. But the comparison to Hilario stops there. The 6’2 wingman from Linamon, Lanao del Norte likes to be compared to his idol James Yap now playing for Rain Or Shine Elasto Painters in the PBA. 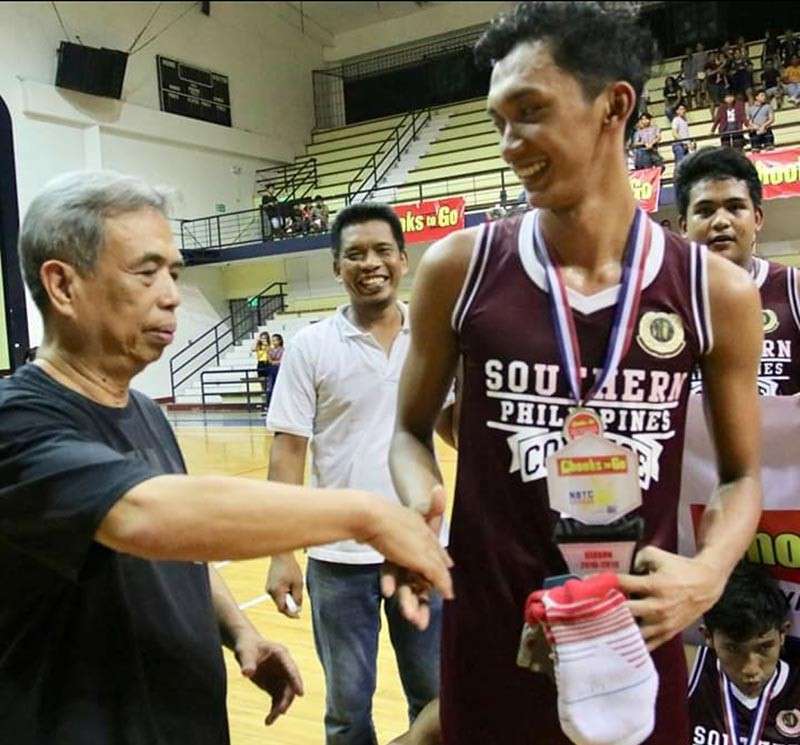 The high flying and high scoring 18-year old led his South Philippine College (SPC) Sharks High School basketball team Sunday evening to win the Cagayan de Oro championship of the Chooks-To-Go National Basketball (NBTC) League title and dethrone Assumption Montessori School (AMS) Jaguars at the Xavier University gym. He poured in 26 points against the Jaguars to lift the Sharks into the Northern Mindanao Regional finals set on Feb 16 and 17 at Xavier University Gym. He won the MVP award for his efforts. They will play against NOLI National High School (Bayugan City), La Salle Academy (Iligan City), Timber City Academy (Butuan City), Infant Jesus School (Bukidnon) and Surigao City National High School (Surigao City). The son of Engineer Isagani Montecalvo and Leni Montecalvo was brought to SPC by his elder brother Jif Ryan who also used to play college ball with the Sharks. Younger brother Josh also plays for the Cagayan de Oro City High School team. “My father used to play college ball in Iligan. He influenced us in playing basketball,” said Jericho whose favorite NBA player is Kevin Durant. SPC coach Rey Dangcal did not waste any time and immediately signed him. “I have signed a gem,” Dangcal said. Jericho is already in the 11th grade and many college teams are already courting him to play for them in college. However, he has not decided as he still has to finish his senior year in high school. Jericho is still eligible to play one more year in the NCAA or UAAP and he is thinking of taking the plunge after the NBTC League national finals in Manila where scouts from the Big City schools would surely woe him. “I have not decided which team I will play for next year. But as of the moment I will concentrate first in the NBTC League,” said the soft spoken and high leaping teenager. Jericho is still far-fetched from reaching the achievements of his idol James Yap. The former husband of celebrity Kris Aquino has won it all as a basketball star from the UAAP, amateurs, national team and the PBA. James Yap however at 36 years old, is already at the twilight of star studded career and he needs a successor. We found one in Jericho Montecalvo. He however, has to work harder and has to eat truckloads of rice before he could reach what his idol has achieved.